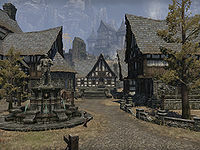 Shornhelm is the capital city of Rivenspire, located in the center of the region. The city is split into two main districts: the Upper City contains the castle and manor houses, while the Lower City contains the stores and other residences. 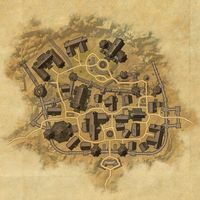 The ruler of Rivenspire holds court in Shornhelm Castle, but since the events of Ranser's War, the province has had no king or queen; instead, Rivernspire has been ruled by a triumvirate comprising House Montclair, House Tamrith and House Dorell. Shornhelm Objective: Help free the upper city from Montclair forces. 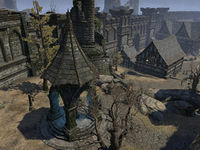 Shornhelm Wayshrine is located on the eastern side of the city, below the gate to the castle grounds. This page was last modified on 3 January 2019, at 15:24.